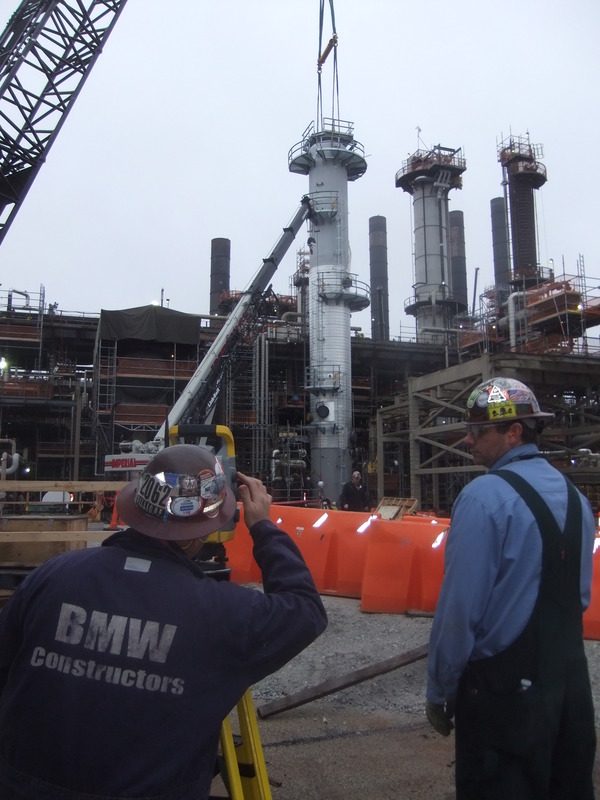 BMWC is constantly searching for new ways to increase project value for our customers. We recently added Virtual Design and Construction (VDC) to our catalog of capabilities, which brings several benefits for our customers. Virtual Design and Construction includes multiple services: Dimensional Controls Integration, 3D Laser Scanning, 3D Detailing, Clash Detection, Construction Visualization, Spool Drawing Generation and Construction Layout. 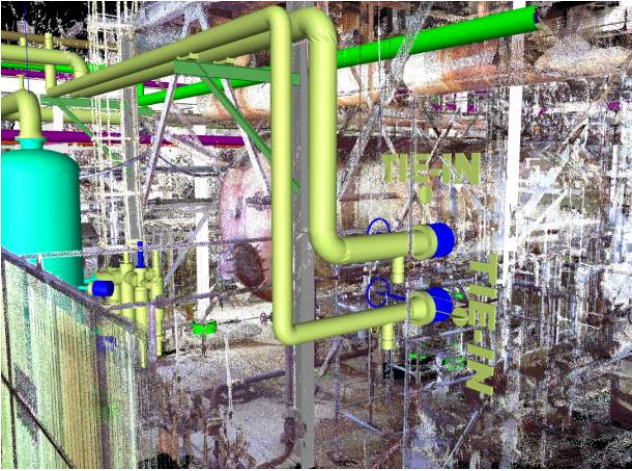 BMWC customers are capitalizing on the significant benefits of Virtual Design data, which uses integrated technology that combines CAD models and laser scanning of existing conditions. We can easily share our integrated model of both design intent and reality with our project team and customer for enhanced decision-making. Utilizing this technology alongside our other services and capabilities, results in some of the most efficient projects, especially for maintenance and modification. Whether it is 3D coordination or pre-fabrication of spools, VDC at BMWC has many functions, which all play a role in reducing overall cost and time for our customers, while increasing quality and ensuring safety of our projects. Our customers see the results of an improved product tailored to their specific need for the job, and request our virtual design capabilities for future work. For instance, many commercial contractors use BIM for coordination. However, BMWC’s approach is to use the design intent model and convert it into a fabrication intent model, review it with the owner and modify as per their request, and then accurately fabricate and efficiently install a project of high quality. BMWC uses the latest equipment and software to create models that allow the project team to see the finished fabrication intent models before any construction work begins, and ensure that every team member understands the design exactly as it is intended. BMWC also uses these models to demonstrate and analyze the entire life cycle of the project including construction processes, schedule, site logistics and cost. These complex models allow BMWC to review aspects of a design that cannot be identified from plans alone. Additionally, having a single federated model combining all trade disciplines improves the design review process and integrates the entire project team. BMWC Project engineers utilize the many benefits of VDC to identify and resolve problems before they arise. Our projects benefit from VDC through improved design, enhanced team collaboration, cost savings, schedule savings, reduced installation risk, higher quality and overall enhanced project safety. To learn more about all the services that BMWC’s team offer for your projects, click on the titles below. 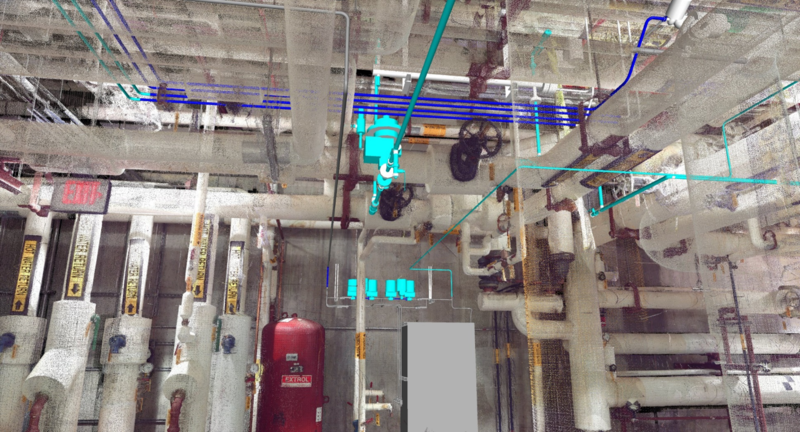 By utilizing our dimensional controls capabilities, we can also take 3D scans of our customers’ facilities and incorporate them with an engineered 3D model to provide layout solutions. The scan data supplies visuals and information that represents every component of a given structure, which allows us to quickly identify any issues. Additionally, our clients can view a project in precise detail in order to enhance the decision-making process. The video below is an overview of BMWC’s dimensional controls capabilities. For more information on laser scanning to as-built/verification of equipment and using dimensional controls, contact virtualdesign@bmwc.com. BMWC’s BIM/CAD services deliver up-to-date, accurate information related to an existing asset or facility. In addition to those services, BMWC now offers three dimensional High Deﬁnition Scanning (HDS) services along with our conventional construction surveying services. BMWC is capturing the world in 3D to assist owners, engineers, construction management teams, maintenance teams and contractors on their projects. Whether it is for pre-design, logistics, study purposes, design data, or even construction visualizations, BMWC has been able to provide repeatable and accurate scan data to help reach a successful outcome for both internal and external clients. Although our services are primarily mechanical, our staff is also highly trained and experienced in utilizing BIM models and point clouds for the production of spool drawings used for fabrication and other forms of deliverables, other than just the registered field point clouds. We understand the value the data set can have for both the design phase and during the construction phase of any project. With our professional and qualiﬁed staff, we have the knowledge to validate and verify the data for accuracy and comprehensiveness. At the beginning of every project, a site walkthrough is conducted to identify any critical details such as tie points, pipe runs, etc. along with permit requirements and site access concerns. A dimensional control network is generated using checkered black and white targets that the scanner recognizes. The location of the targets are then simultaneously surveyed within plant datum to correlate the scan data to existing drawings or models that may exist of the facility. Highly accurate Robotic total stations are then used to survey the target locations, which results in the most rigid and robust control network. 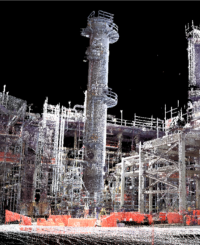 Laser Scanning, in conjunction with dimensional control networks and established industrial surveying techniques that utilize the latest surveying equipment and technology, help generate the most comprehensive datasets available in the most eﬃcient timeframe, resulting in an innovative, value-added service for our clients. For more information on BMWC’s virtual design including laser scanning and how it can help bring value to your project, contact virtualdesign@bmwc.com. 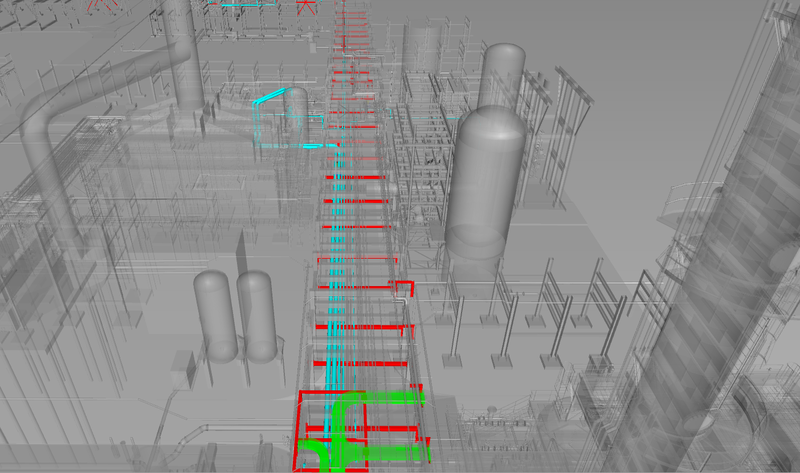 As part of a BMWC project, our Virtual Design team provided surveying services during relevant project stages, to limit potential installation problems for the setting of a Debutanizer tower. BMWC is constantly searching for ways to increase project value for our clients. As mentioned above, laser scanning and 3D modeling are two services that we now offer clients to save time and money, while enhancing safety. With this technology, we can digitally replicate any object or scene in coordinate data. Once collected, we can bring it into any CAD platform. 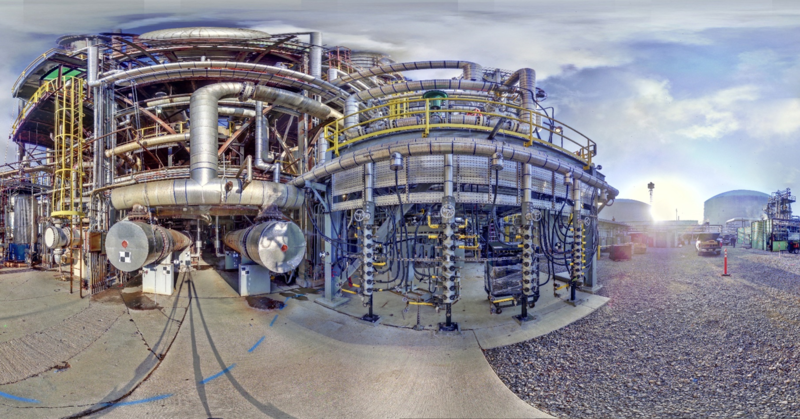 Recently, BMWC’s Virtual Design team used this technology for verifying and setting a Debutanizer tower within a refinery unit. BMWC verified the tower’s construction, prior to installation, using laser scanning. From the data, the team was able to determine the flange connection locations and elevation, and they confirmed that the tie in effort would go smoothly. Along with confirming the flange locations, we performed a vessel straightness survey using the same data. The results also confirmed the vessel’s construction. Using a unique approach, the virtual design group used the scanned data (of the tower in the horizontal position), to virtually place the tower upright in our design software and place it in its designed operating position. Then, we calculated the shim pack values that were required to level the tower, prior to the tower lift. 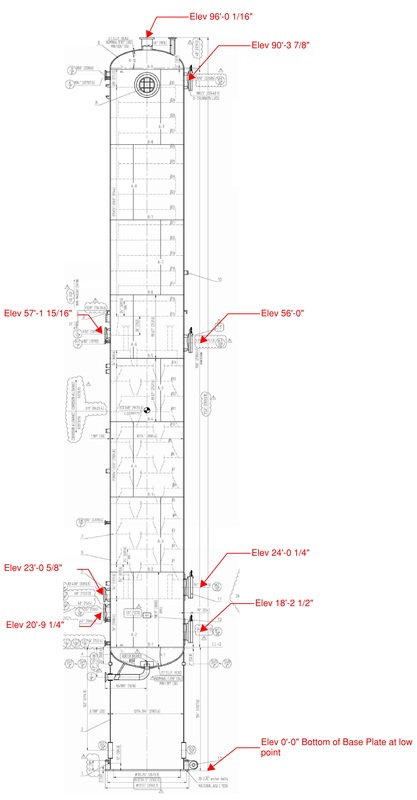 The tower is 96′ tall with an 11’ diameter and weighs over 200,000 lbs. Based on the values from the scan data, we installed the shim packs the day before the lift. The next morning, the tower was picked and placed on the shim packs. It was determined, through the scanned data, that the base plate required shim packs between 0 and 3/4” to plumb the vessel, due to the base plate being that much out of square with the vessel centerline. After our initial set, using the shim packs created by the scan data, the tower only required 1/16” shim to achieve plumb of the vessel and to complete the installation. Many people were skeptical that the new “scanning approach” would not work as compared to the traditional method. After seeing the results, the client was impressed by the new technology. The whole operation, which included picking the tower, leveling the tower and putting it into place is a different methodology than the traditional approach, which includes several cycles of setting, checking, lifting, shimming and then repeating. The traditional method usually takes many hours, more manpower and increases the likelihood for a safety issue or damage to the tower. Having exact as-built models aids in new and revamp design projects. Having an exact model reduces time and costs that can be associated with re-work. 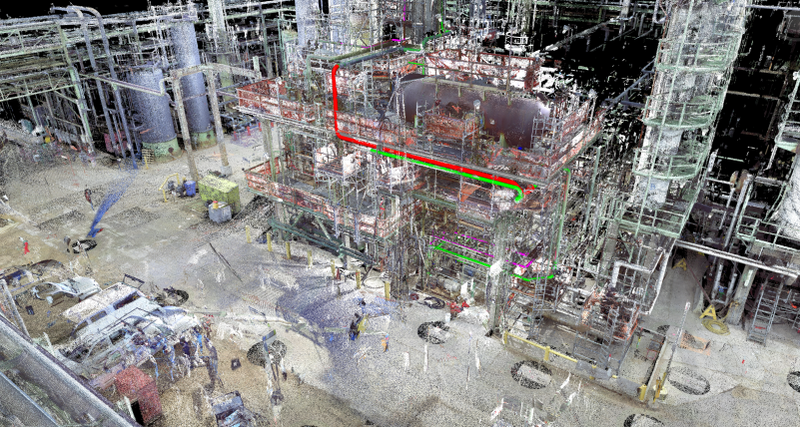 Providing point cloud data through the virtual design group, enabled BMWC to use the data with confidence and enhance project workflows. Being able to accurately capture existing field conditions and feed that information to our project teams, allows them to make informed decisions and help keep projects on schedule and on budget. 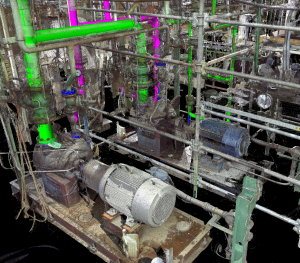 For more information on laser scanning to as-built/verification of equipment and using dimensional controls to minimize installation risk, contact virtualdesign@bmwc.com. At BMWC, the primary benefit of design verification, which consists of having access to accurate information on existing conditions, is to control the Total Installed Cost (T.I.C) on any given project. 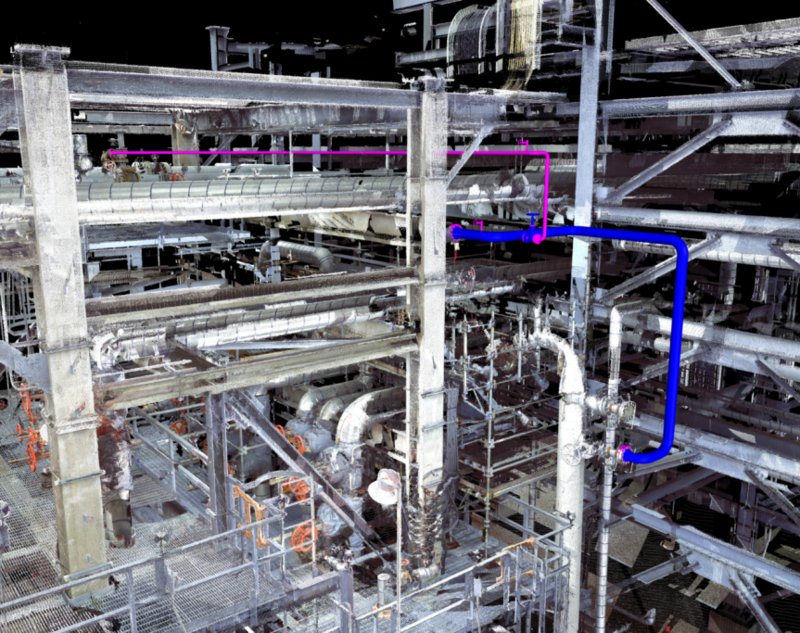 The design verification of industrial services and systems services such as piping and equipment can be optimized by using laser scan data in point cloud format which can be easily inserted into any CAD design platform. Piping is a major expenditure in the design, construction and maintenance of many industrial plants such as those in chemical, refinery, petrochemical, semiconductor, or power-generating plants when one considers engineering costs, material costs, fabrication and field labor costs. Proper planning and execution of the design and routing of pipe can have a major impact on controlling the T.I.C on any industrial project. 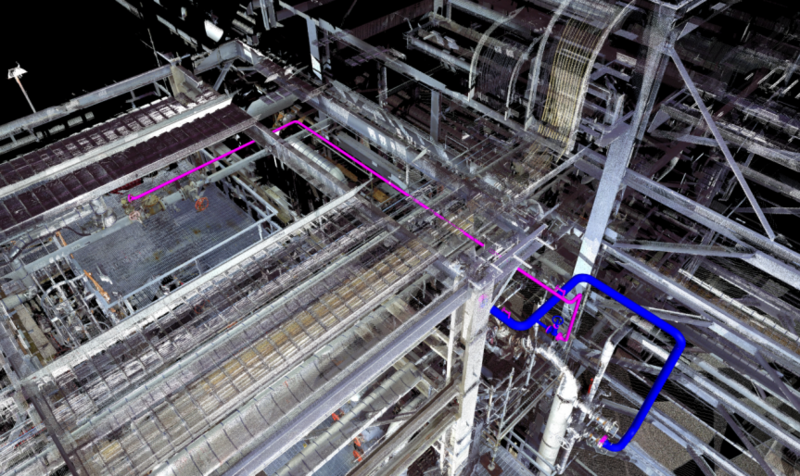 A methodology that has been proven in various industries, uses conventional surveying techniques and laser scanning to accurately locate tie-in points, point of connection, piping components and support members, potential clashes and existing access requirements for other equipment and services. locations, plans demolitions and performs comprehensive pipe routing. Point Cloud data can also be introduced at the beginning stage of the design process to help identify routing zones and help prevent a lengthy coordination process. 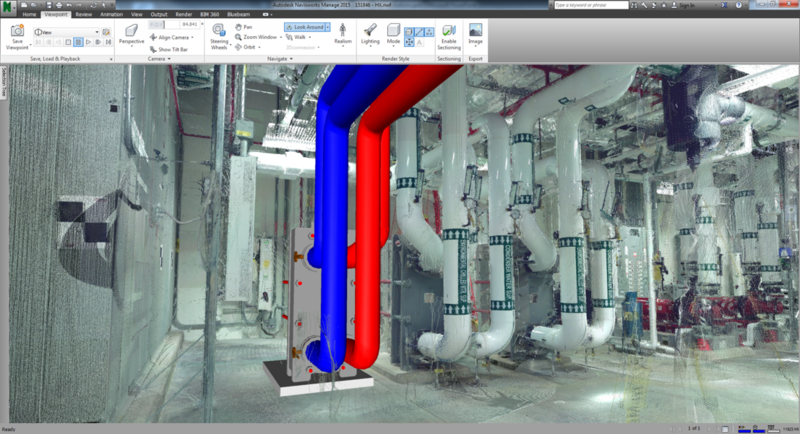 The latest in sophisticated software such as Navisworks and the output from design packages such as Fabrication Cad Mep and CadWorx allow for the seamless integration of a digital replica of existing conditions and the design intent. BMWC’s approach to embracing modern technology is an example of how we bring value to our client’s projects in a safe, reliable, efficient and comprehensive manner. The following are only a few considerations of what are typically used to virtually field route or route verify service routings. P&ID process diagrams, theses define the sequence of equipment, valves, inline components etc. The ability to bring existing conditions into the design world with such completeness contributes to the quality of service BMWC provides to their clients when it comes to virtual field routing and route verification. Using Virtual Design to support Pre-Fabrication Efforts. 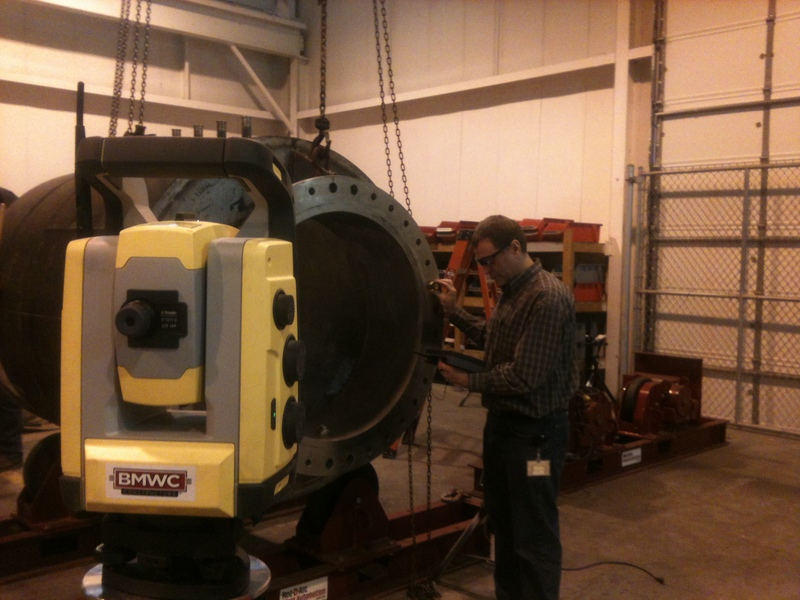 For a Refinery customer, BMWC’s virtual design team laser scanned an existing spool to capture detailed flange information, including bolt hole orientation, elevation information and pitch of flanges. From this scan, BMWC generated geo-referenced (to plant datum) 3D point cloud data of the existing conditions. This data provided each pipe and flange orientation, which allowed the fabrication team to verify the existing conditions prior to fabrication. 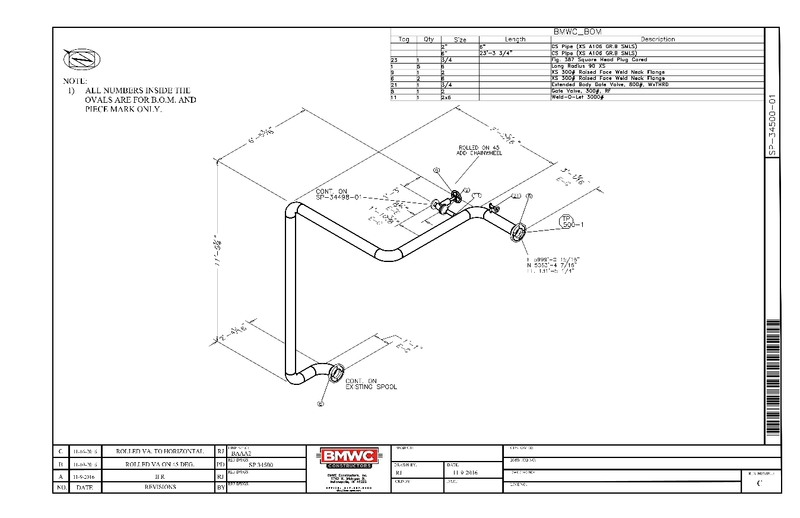 BMWC used this information to verify and adjust the existing drawing information, which eliminated the time required for making field changes during installation. BMWC worked closely with the client to coordinate the data collection of the existing conditions. BMWC’s internal detailing team then took the data and created a fabrication drawing of the spool, which they sent to the BMWC fabrication team. The result was a spool piece that was fabricated off-site, delivered and installed over a 24 hour TAR. Detailing efforts, quality, schedule and overall safety of the TAR were all enhanced using virtual design. BMWC’s offsite fabrication approach involves the processes of digitally replicating existing conditions, designing new systems/service routes, spooling out shop drawings, fabricating spool pieces, transporting and assembling piping components in a more efficient and accurate assembly compared to a piecemeal on site assembly method. Using Virtual Design BMWC has the capability to digitally replicate any site to sub millimeter accuracy, import the site conditions into our design platform software for ease of use and accurate detailing, resulting in custom fabrication for a clash free installation. Off Site Pre-Fabrication of pipe spools is an industry tried-and-trusted method of reducing field installation time and costs while providing the highest of quality in the products fabricated within a much safer environment and with minimal waste. Pipe spools are often designed with flanged connections to facilitate minimal onsite hotwork and increase the efficiency of an installation. BMWC Constructors Inc work under a defined set of quality management criteria to ensure the accuracy of fabrication to achieve the optimal installation for our clients. A high quality standard of fabrication work is maintained in a controlled environment. High accuracies on specified tolerances will avoid re-work at the work site. Fabrication in mass production, will result in lower manufacturing costs compared with site fabrication. Prefabricated Spools are quicker to fabrication therefore maintaining schedule. Prefabricated Spools that require Radiography, PMI, MPI, Ultrasonic tests, Hydro tests etc. can be performed better & effectively in a controlled environment. Better control on welding parameters in controlled environments resulting in minimal field welds. Fabricating spools off site means a cleaner install which is highly desirable in highly hygienic industries such as semiconductor, pharmaceutical and food processing.